After the process of washing and drying the laundry is sent to the ironing area. 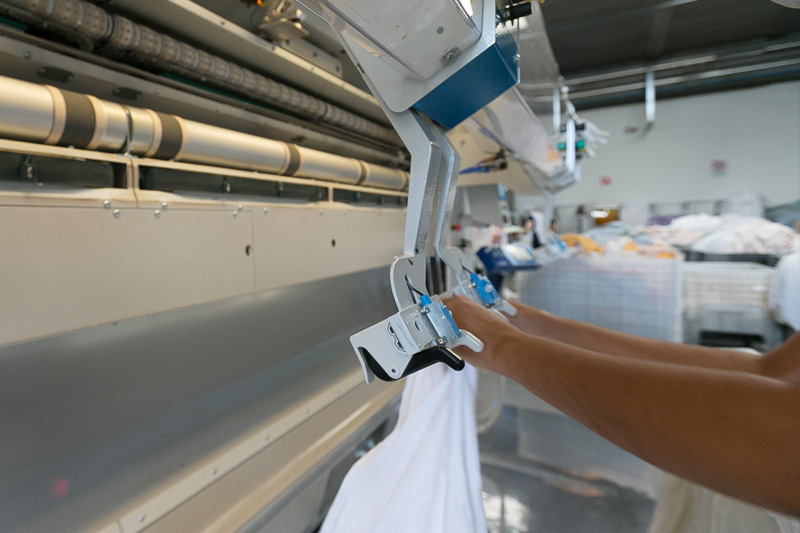 The ironing is performed using mangonels supplemented by automatic feeders and folders, which use steam at 11 atm with 180 ° C temperature than the thermo ensuring disinfection of laundry a finishing optimal. 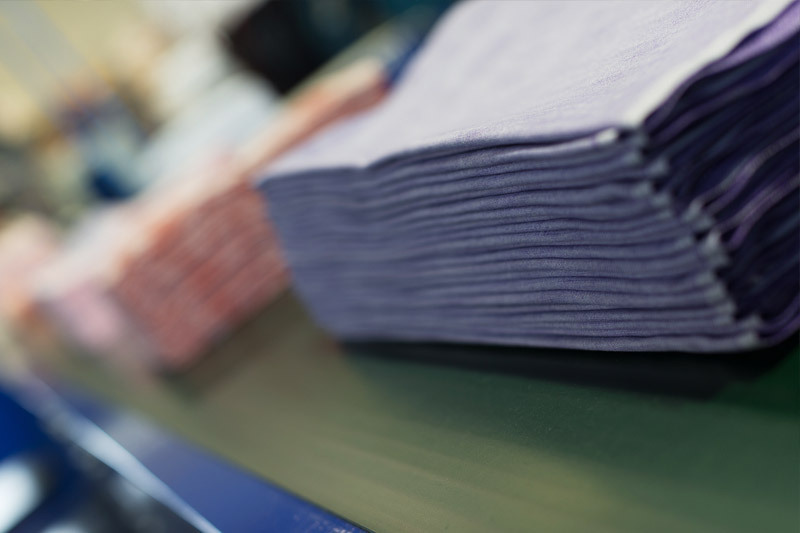 The department uses ironing and folding machines of the latest generation which ensure to introduce iron bend and finally count all linen. 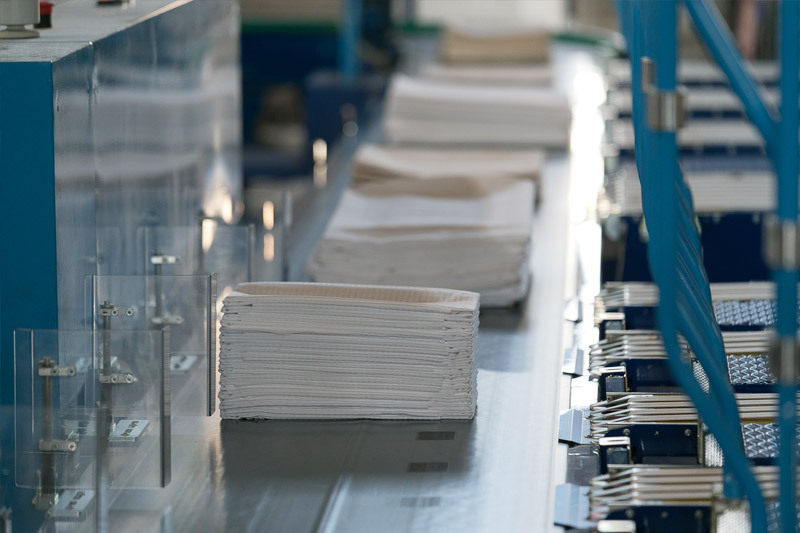 This allows to minimize the chance of biological contamination of the laundry. 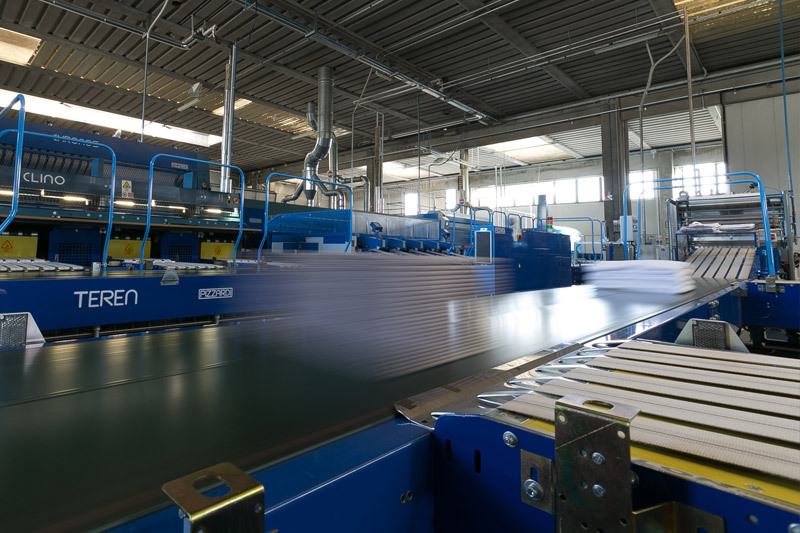 After the iron and fold, all items are automatically downloaded in a tape collection computer connected directly to the packaging line which through nylon film perforated shrink wrap linen protecting it for transport. 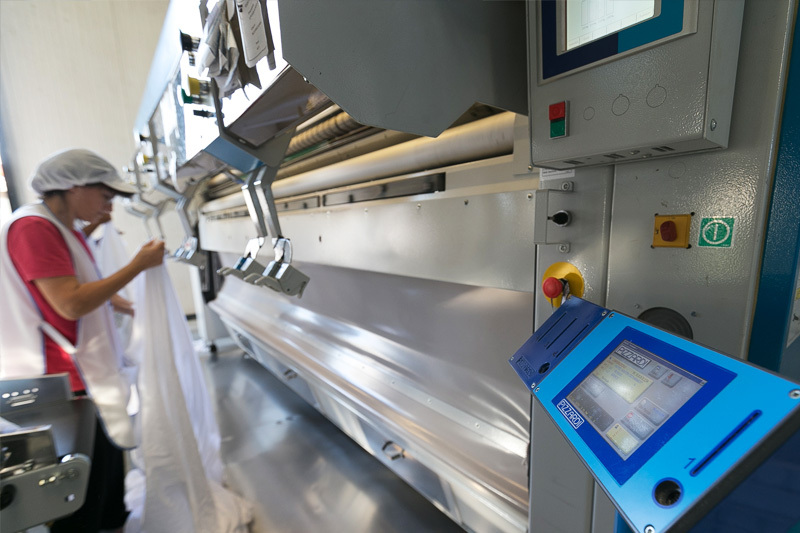 Finally on every package is placed through a labeler automatic indication of the name of the customer on the type of linen inside the pack itself and the number of pieces so as to facilitate the control part of both our operators by the customer on receipt of goods. 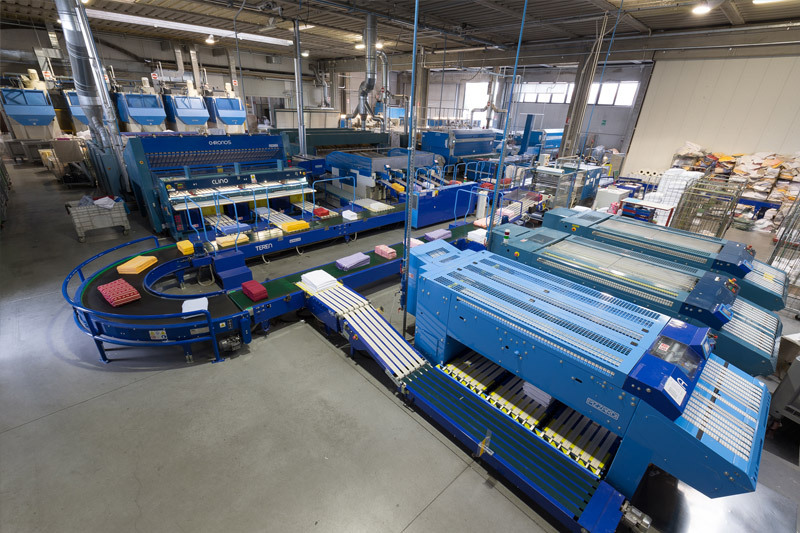 We handle an average of 17,000 pieces per day.